Life is like a BUTTERFLY. We go through changes and then reveal our real beauty. Back in the college years, one of my favorite subjects was Psychology and one of the most challenging clinical experiences I had was reporting for duty at the mental health institution. It really breaks my heart to see patients in their sad, lonely, fearful faces. We would do short interviews and assess their feelings as part of our job (as a student nurse) and provided nursing care. Like them, I've gone through a lot of emotional challenges before I became the woman I am today. Maybe, there are experiences you hope you could just forget. You know what, I learned that pushing it into the subconsciousness won't help. Acceptance, forgiveness and love are the three things women should do to start a new life. Self-help books gives us new perspective and inspiration. Groups and communities welcome us without judgement, no matter who we are or where we came from. There are many ways to deal loneliness, ease depression and anxiety. When I was in secondary school, I started sketching, drawing and even painting. My favorite subjects then were houses, trees and water. Haha, I didn't know there's a meaning with every thing we draw until a psychologist told me. That was then I realised I was starting to feel lonely. Sad because my parents separated. But I told myself "anger can never heal broken relationship". I can choose to be rebellious but I did not. Instead, I studied harder and enrolled in the College of Nursing. God gifted us the ability to choose between right and wrong. "And when I was angry, when I was younger, I was in a cocoon. There are studies that reveal that short walk in nature helps improve mood. It also prevents from depression. They say that exposure to nature reduce stress and improves well-being. Personally, I like doing short walks at the park if without chance in the mall while window shopping. With that I also got to exercise self-control over unnecessary spending. Recently, I find a great companion for short and even long walk and nature trip. 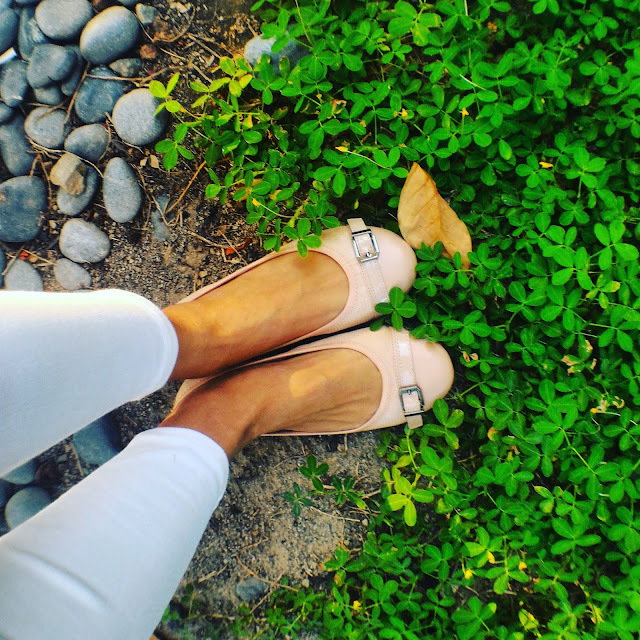 Butterfly Twists is a British shoe brand that is quickly becoming the modern Filipina’s shoe of choice. No wonder, because its high quality, comfortable fit, and lovely designed shoes, women chooses this brand for daily use to a chic and evening party. 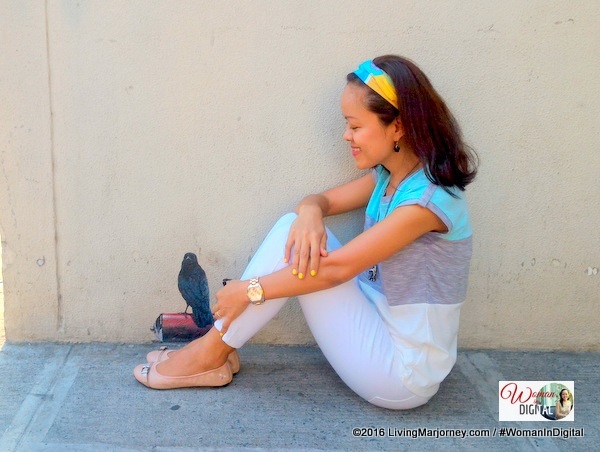 I got to try two pairs from the Butterfly Twist's latest collection - the classic sandals, Lola. I tried and tested its comfort and fit joining a photowalk. 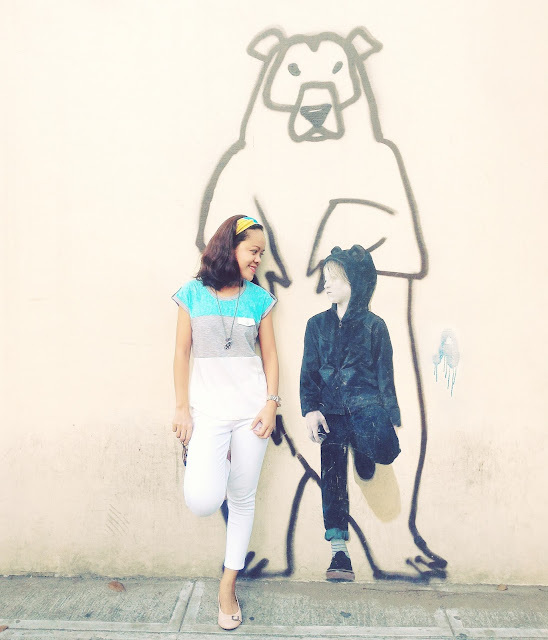 Taking time to visit some the murals we often passed by along Bonifacio High Street. When I arrived 4pm after an earlier morning photowalk with Ivan Man Dy and Avida Land, my feet and legs were slightly complaining. After taking a short rest at CBTL and feeling Butterfly Twist on my feet, I thought I'm ready for another round of photowalk. Off we go! A return to the summer season is celebrated Butterfly Twists’ latest Spring/Summer ’16 Collection through its wide array of colors, patterns, prints, & styles. 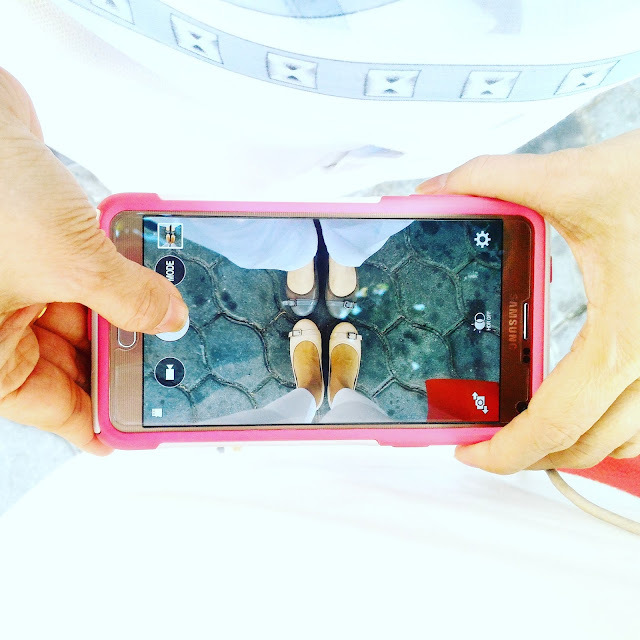 For us, women on the go, these shoes fold up that can be easily tucked away in suitcases or handbags is definitely the best travel and everyday companion. Butterfly Twist women's shoes are chic and fashionable. 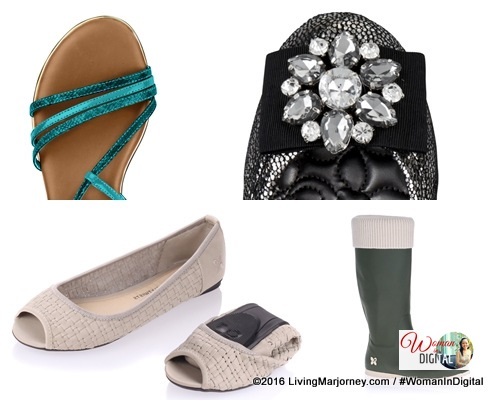 With contrasting patterns and tones, along with various patterns & materials, the UK-based shoe brand is also introducing new and exciting silhouettes in addition to the Butterfly Twists favorites. Casual slip-ons, bejeweled flats, and skater shoes join the mix along with our summer sandals. Ever present though is the flexibility and memory foam insoles the brand has become known for. Follow @BTwistsPH on Twitter and Instagram.